Chartering your private yacht is simple. At Yacht Charters Asia based in Singapore, we make this a simple, enjoyable & fun experience. 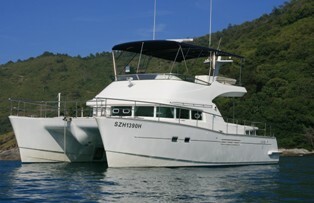 SEA DUCTION and Hidden Treasure II are the complete choices for your next ocean charter experience. Visit our main website www.lifestyleadventuresasia.com for details. Copyright 2009 Yacht Charters Asia. All rights reserved.